As most of you will know, back in October we moved in to a new place. Going from a small and compact apartment to a two storey house with spacious rooms meant that we had to pick up a few new pieces of furniture to fill the gaps! 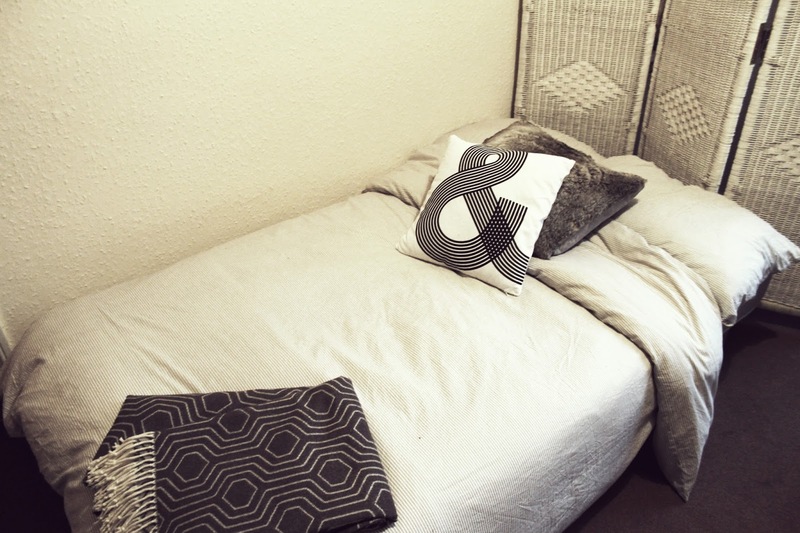 One thing we love about our new place is how we now have a guest room that is just about big enough for a double bed, however rather than fill the space with a bed, we wanted to find a sofa bed so that we could use the room for other things when not in use. Enter DFS! DFS got in touch just before Christmas and kindly offered me a sofa bed on loan to try out and have guests use over the festive period. After browsing the huge selection online (over 1,000 style, colour and size options to choose from – you can imagine how difficult that was!) 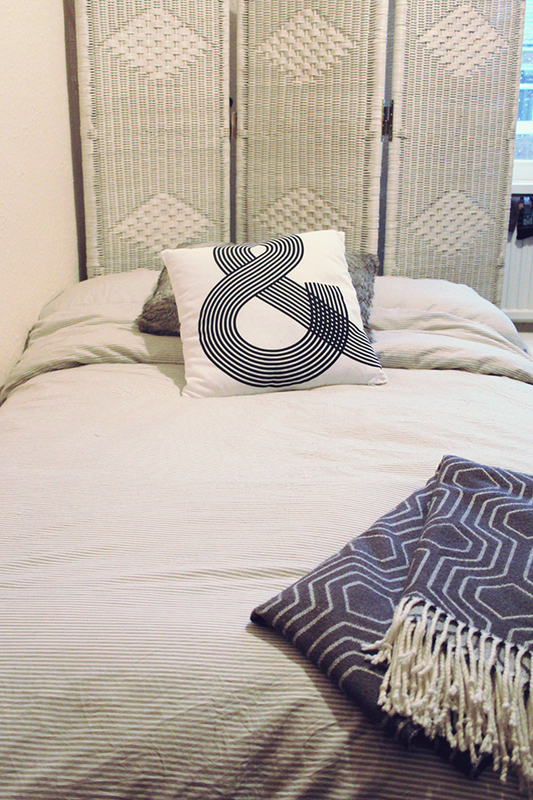 I decided on the Flip Sofabed for it’s simplistic design and taupe shade which matches our carpet and curtains to a T! I didn’t want something too big, as our hallway and front door are fairly slim, nor did I want something that was too fussy or fiddly to change in to the bed and back. This one is perfect as it’s a sleek and slim design that folds down in to a bed with a simple click. Delivery of the sofa bed was super quick from one of the three factories based in the UK (all DFS sofas are manufactured in the UK – something I wasn’t aware of!) and the delivery team were incredibly helpful carrying it upstairs to the room we wanted it to go in. After using the room planner on their website I had already planned exactly where it would sit, and after a quick unwrapping, everything was up and ready in the right place. 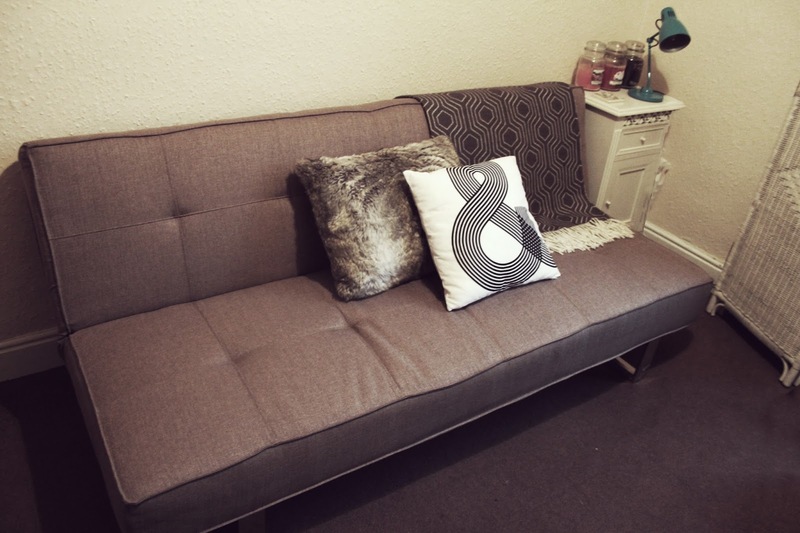 We’re so happy with the sofa bed that we’ve actually since purchased this very one as it was a fantastic price and fit in with the room and decor so well. We’re awaiting our first guests in the next week to test it out, but from having a sneaky lounge on the bed myself a couple of times I can vouch that it’s super comfy. If you’re looking for a new sofa or sofabed and you’re thinking of taking a look at what DFS has to offer, I’d definitely recommend their products. 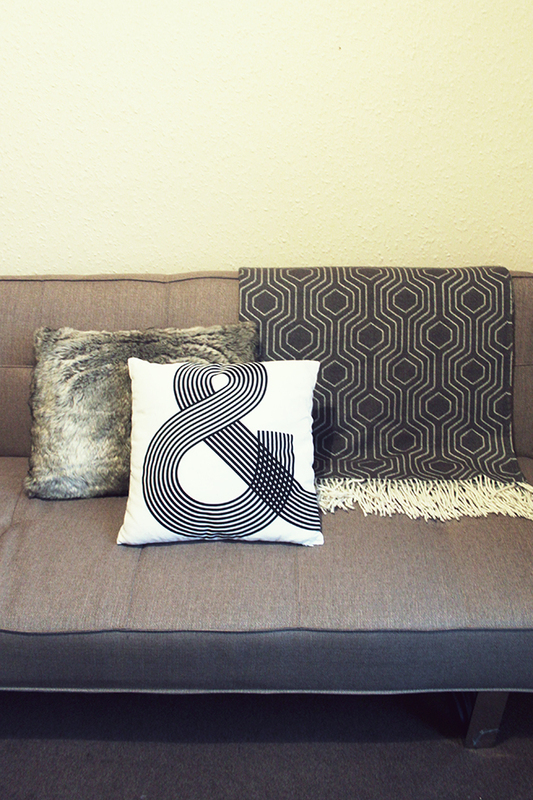 We also purchased the Freya corner sofa for our living room last year which we love. If you’re getting rid of an old sofa too, DFS has partnered with the British Heart Foundation charity who will collect your unwanted sofa and sell it in one of their furniture stores. "A YEAR IN OUTFITS: 2015"